European automakers are hustling to market a slew of electric and hybrid vehicles, mainly for low-carbon urban driving. An exception is the V-8-equipped Lotus Esprit, which produces 620 hp. 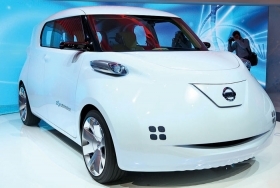 Here's a sampling of electrics and hybrids at the Paris auto show. Renault expects to produce about 150,000 Zoes a year, representing about two-thirds of the company's EV sales in Europe. 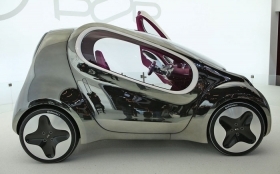 Sales of the four-seat minicar are scheduled to begin in mid-2012. With rear-hinged doors and a disappearing rear seat, the Townpod concept hints that a small electric commercial vehicle is in Nissan's future. Sales of the Jazz hybrid, with the same 1.3-liter engine as the Honda Insight hybrid, are expected to start in Europe early next year. The standard Jazz is sold as the Fit in the United States. 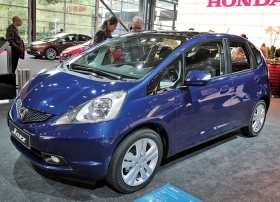 American Honda executives have said there are no plans to sell a hybrid Fit in the United States because the Insight already fills that vehicle size and price point. The Kia Pop concept's 18-kilowatt-hour lithium battery makes 68 hp and powers the vehicle to a top speed of 87 mph (140kph). 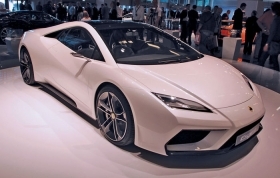 The Esprit, set to go on sale in the spring of 2013, is a two-seat rear-driver with a 5.0-liter V-8 capable of 620 hp. A regenerative braking system, which makes the Esprit a hybrid, will be an option. The sticker: $173,000.